In the wake of pioneering research by Yale University’s Walter Gilliam, the federal government started collecting data on public preschool suspension and expulsion in 2011. According to the most recent data from the U.S. Department of Education, 47 percent of the preschoolers who received suspensions or expulsions in the 2013-14 school year were African American, even though they made up only 19 percent of preschool enrollment. In total, nearly 7,000 3- and 4-year-olds were suspended or expelled from public preschools during the same school year. This column highlights four of the most important, and disturbing, facts to know about preschool suspension and expulsion. Children at the young ages of 3 or 4 often test boundaries and act out, particularly when adjusting to new social environments such as preschool. According to the American Academy of Pediatrics, it’s perfectly normal for a preschooler’s frustration or anger to manifest as physical conflict. When caregivers correct this ordinary behavior in a way that promotes empathy, it’s a healthy part of a child’s social development. Labeling a young child as violent or disruptive and calling parents to pick up their child sends the wrong message to the child, and it could even lead to unnecessary medical or psychological interventions. In Sankara-Jabar’s case, that was the course that her son’s preschool recommended. Although her son’s tantrums were typical for his age, the preschool asked that he be evaluated in a medical setting. When she refused, she was told she would need to find another preschool for her son. Quite often, this is what preschool expulsion looks like. In working with other parents on this issue, Sankara-Jabar says, “I have seen parents get bullied into medicating their children and signing them up for special needs classes. And this is more pronounced with African American boys.” Yet in 2014, an Indiana University analysis of the literature on racial differences in child behavior showed that children of color and white children act out at the same rates. Last year, in a study that used sophisticated eye-tracking technology, Yale researchers led by Gilliam found that preschool teachers tend to more closely observe African American children than white children when they are expecting challenging behavior. The researchers believe that this could help explain the disproportionate levels of discipline experienced by African American boys, who represent 19 percent of male enrollment but receive 45 percent of male suspensions. The new CAP analysis also finds that in the same school year, schools that reported using corporal punishment as a disciplinary tactic suspended or expelled preschoolers at twice the rate of schools that did not use corporal punishment. To be clear, these schools are not necessarily using corporal punishment in their preschool classrooms. Nonetheless, this finding reflects an institutional reliance on harsh discipline rather than the more effective practice of redirecting disruptive behavior. When teachers are given the supports and the right tools to help children with challenging behavior, they can lower rates of hyperactivity, restlessness, and externalizing behaviors. The only recent data available on preschool discipline comes from public schools. But as in Sankara-Jabar’s case, it is likely that most instances of suspension and expulsion happen in private preschools. In her experience, Sankara-Jabar notes that “this becomes a child care nightmare for parents because their kids are constantly being kicked out of these private preschools.” The only study that has collected data on disciplinary rates in private preschools found that in 2005, the rates of expulsion in private preschools were twice as high as those seen in public preschools. Without accountability and reliable data reporting, private preschools remain free to discriminate against families of color. 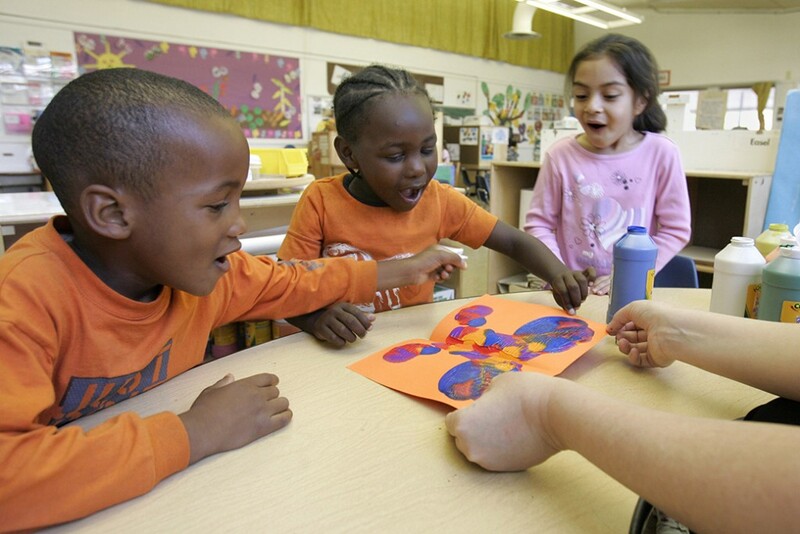 In recent years, the positive effects of high-quality preschool have been repeatedly documented. As more cities and states attempt to provide public preschool, strong civil rights protections must be in place to ensure that the destructive practice of preschool suspension does not become more widespread. Meanwhile, the Department of Education’s Office for Civil Rights, the office responsible for collecting data on the practice in public schools, has been targeted by the Trump administration for downsizing. Furthermore, researchers have yet to fully diagnose the scope of the problem in private preschool settings. The good news is that with the right training and professional supports for preschool teachers, the normal yet challenging behaviors of 3- and 4-year-olds can be redirected in positive ways that help them develop the social and emotional skills necessary for learning. Armed with the new cutting-edge research on implicit bias in preschools, many early educators are working hard to end the practices of suspension and expulsion. After all, preschool should be a welcoming place where children grow and develop normally, free from society’s stereotypes and prejudice. Rasheed Malik is a Policy Analyst for the Early Childhood Policy team at the Center for American Progress.